Please feel free to submit your prayer request. 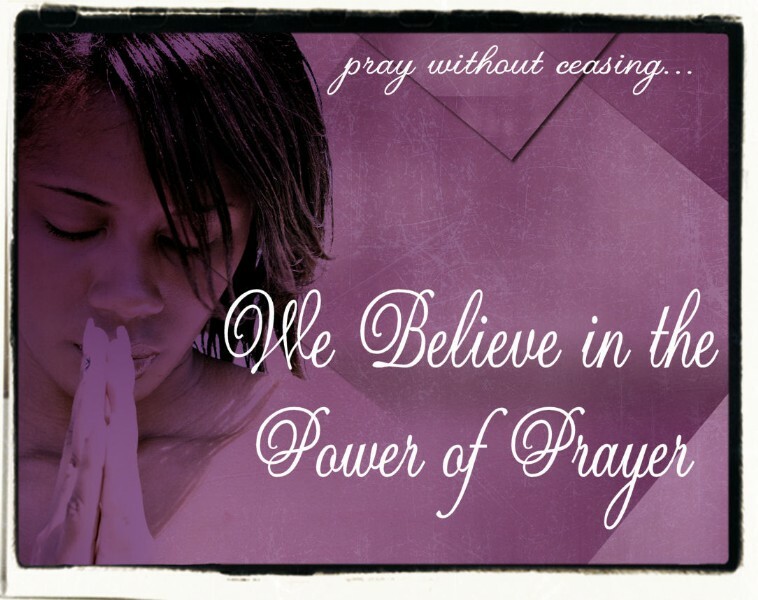 Our prayer partners will be praying over all the requests. My prayer request is all categories in my life that concerns my home, children, and grandchildren both spiritually, financially and emotionally. My grandchildren have been in the dark and their mother for a couple days now. I pray that God minister to her heart and mind about her situation and have mercy on her. I have assisted in the past and only have gotten my feelings hurt behind it. I pray that God gives her a breakthrough. Can you please pray for her Jasmine.